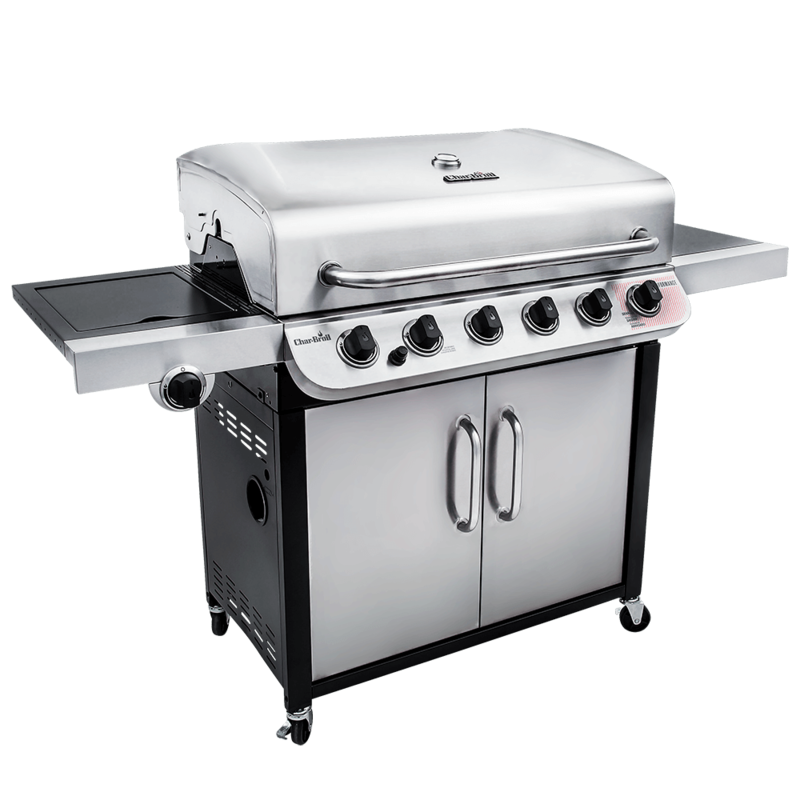 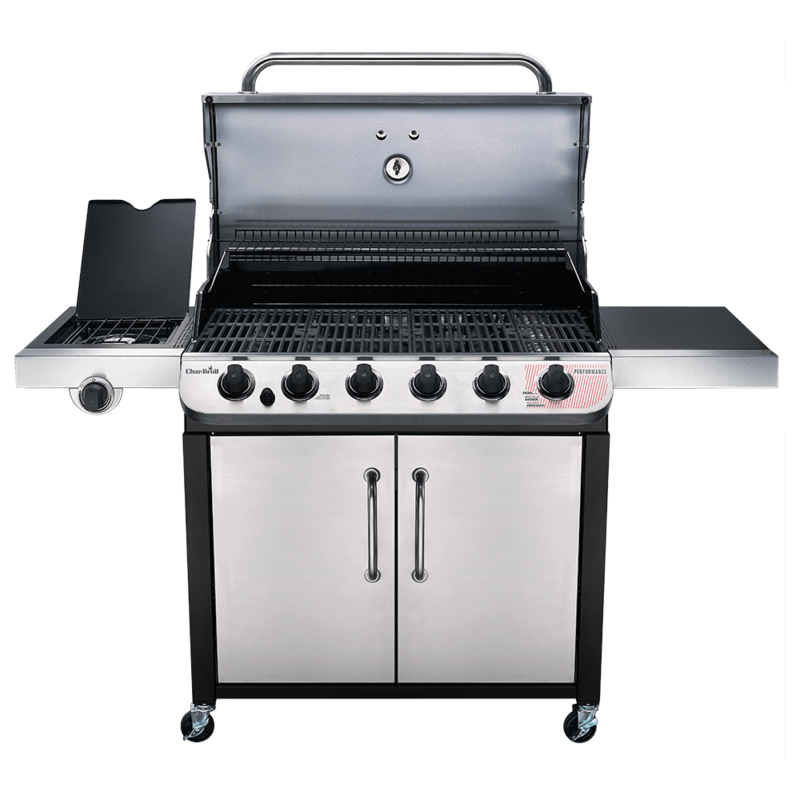 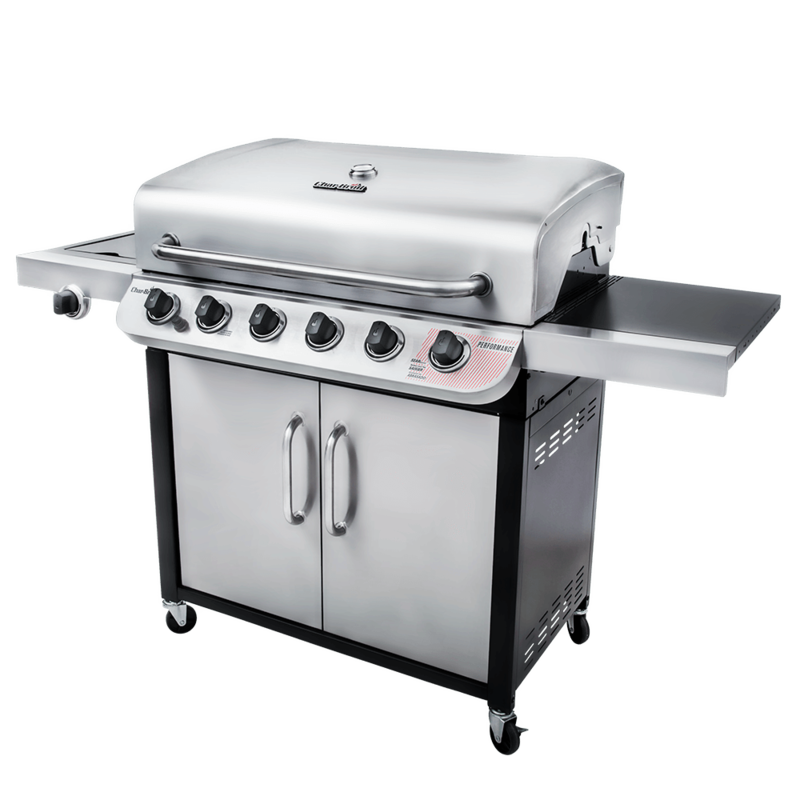 The Performance Series™ 6-burner grill features a sleek stainless steel design and the stainless steel burners emit flame from the top for even cooking & added durability. 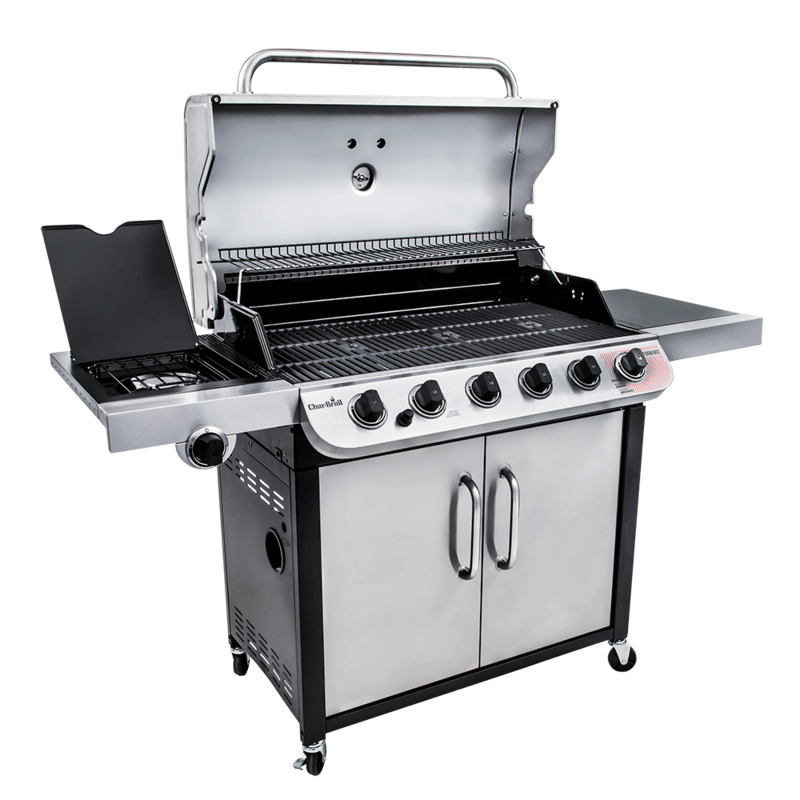 This grill is made to last, with rust-resistant porcelain-coated cast iron grates for easy cleaning. 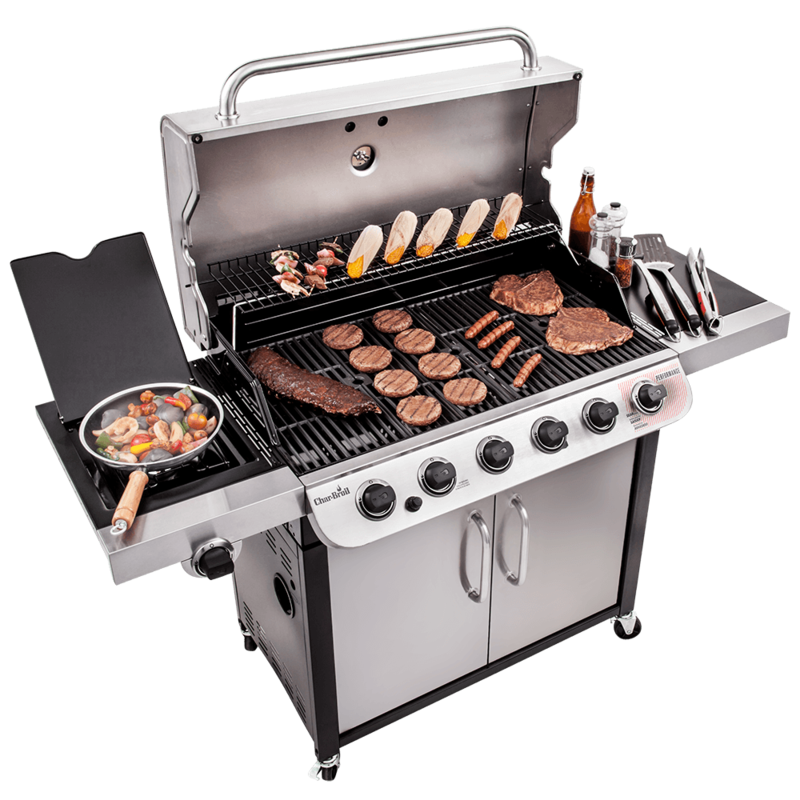 All the features are here including a removable porcelain-coated grease pan & an electronic igniter.